I have such a difficult time trying to explain Custom Service because it’s different for everyone. Essentially, I submit samples of wood, stain finishes, and swatches of fabric for my client’s approval before proceeding any project—even a technical drawing if it’s a new custom frame. Each approval is an accumulation of many considerations, and a step closer to actualizing a client’s vision. This custom pair are actually fully restored vintage chairs. Custom made includes pillows to go with your new couch! In my mind, the green design process is like a well lit path, yet each client’s thought process is always unique and moves at their own pace. Understanding the intricacy of a client’s personality and lifestyle is just as important as the color of a fabric or the height of a chair. Sometimes the final decision takes time to reveal and discover. So, the client and I follow a process similar to as follows and accomplish a beautiful, creative vision in green upholstery. Before sourcing options or submitting samples, we begin with understanding the end goal of the project. I’ve had a few clients with new homes, aiming to fill their daily lives with the ‘perfect’ furniture that fits in a certain space in a specific color. A repeat client liked the exact dimensions of the below Critter Couch and proceeded to purchase it when it was, back then, a Ready to Order item. I insisted we build a new couch for her and use a personalized pallette. I knew her entire home had a soft, beachy atmosphere and this print would clash with the overall vibe. The original Critter Couch, 71"W x 31 1/2" D x 25" H. Click through to order your Critter Couch. Client's custom black velvet couch, 71"W x 31 1/2" D x 25" H. Click through to view all Custom Made styles. Her custom built couch not only allowed the freedom to decorate as she wanted, it made fiscal and health sense to invest in high quality furniture that was non-toxic, and to her exact specifications. Once we capture the spirit of the seat to be, we can now create a design in a specific style with particular measurements. For example, the seat height is a big deal for shorter folks like myself and today’s furniture is generally bigger and higher than restored vintage/antique pieces. I look like an awkward child on some couches if I sit all the way back—not cute I’ll tell ya! Below (left) is a sketch and few photos a client referred to for inspiration. She wanted to match the scale and seat height of another chair she already had, and planned to pair them together in the living room. On the right, we compiled her ideas and specifications into a techincal drawing for the framebuilder to follow. I scaled the chair she wanted (left) to match the scale to the chair she already owned (right). BELOW, my scale drawing for the frame builder. My scale drawing for the frame builder to follow. Wood sample: The wood to choose is based on your finished look. A satin water based clear coat will let walnut wood stay classic and moody, or a white stain with a raised grain on oak adds a fashionable edge. Regardless of which wood you choose, it’ll be a hardwood and all our new custom frames come with a lifetime guarantee since they’re made with best construction of screws and glued dowels. Stain sample: Once the wood sample is approved, I offer a range of the stain effect on the actual wood for comparison. Looking at these samples during different times of the day, in different lighting, allows the full persona of each color to emerge. 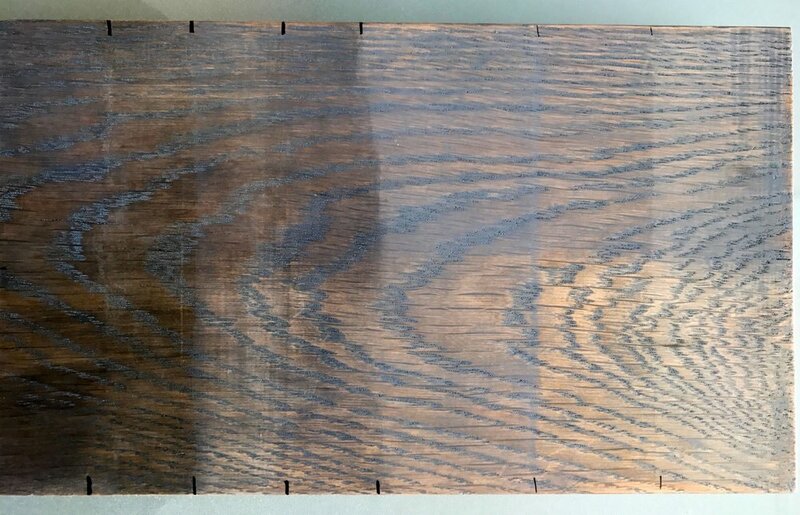 Check out the below oak samples. Same client, two different stain directions that showcased the grainy look that matched her living room’s decor. Two layers of different colored stain, in varying saturations. Raised grain and white stain. The final choice! Fabric Swatches: Partnered with the stain sample is an array of fabrics based on your preferences and purposes. 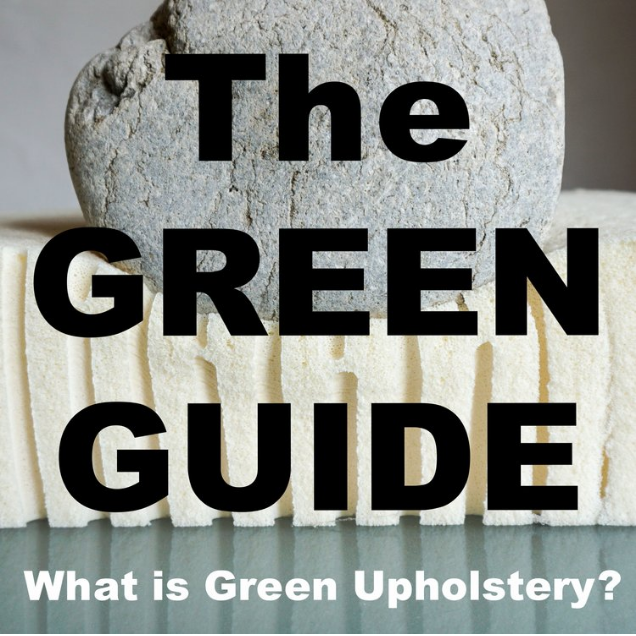 Since I practice green upholstery, the fiber content(s) of each fabric is indicated. 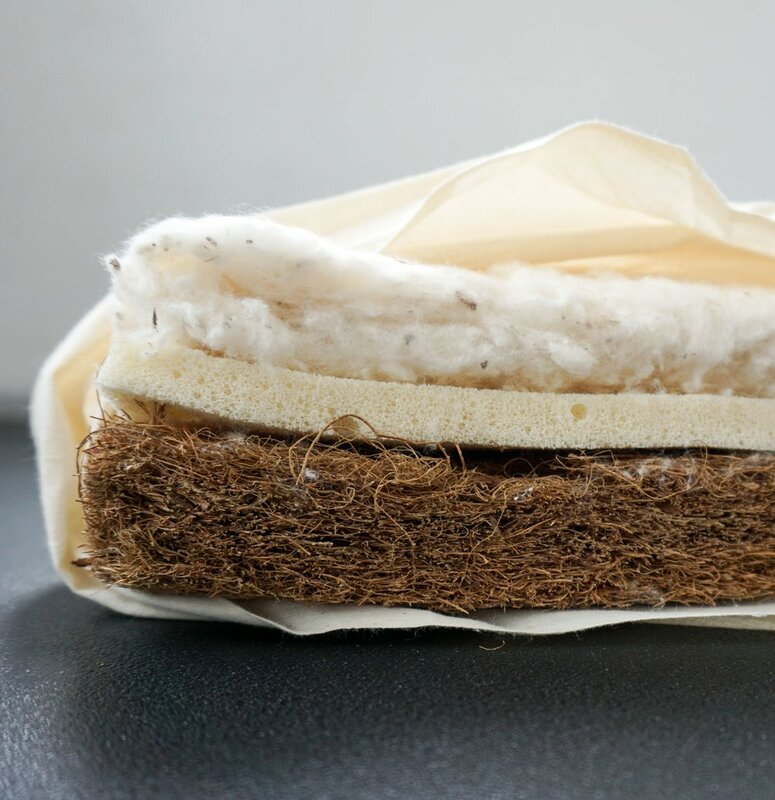 I’m always pushing for linens and cottons that biodegrade, but some clients prefer a synthetic fabric based on the look or function. Client was enamored with this color and chose Option E.
Better to view wood and fabric together in different lighting. Once all samples are approved, the frame builder can begin the process of actualization. When the frame is ready for my duty, I proceed the upholstery and stain the wood. This time period is filled with rigorous making and building, and is the magic that happens behind the velvet curtain. On the other side of this velvet curtain, the client sees the end product. The small bits of approved samples have come together and we now behold a design manifested. This chair or couch may be part of transitioning into a new home, a splurge, or a decision to ‘go green’--investing in good furniture really is about taking care of yourself. With every client I encounter, the power of green upholstery earns it’s place as the everyday standard, and that is just the very reason why I do what I do.